Below is the video of our Sunday Worship service for Easter morning at Asbury Memorial UMC. We hope you’ll be able to join us in person soon to worship our risen Lord and Savior at our historic church. May the peace of Christ be with you. 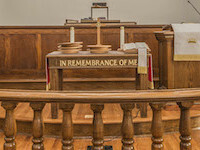 Copyright © 2019 Asbury Memorial United Methodist Church.